Performing throughout NE Ohio over the past 5 years, The Girls Band brings solid 3-part harmonies and unique, musical and rhythmical arrangements to Rock, Pop, R&B and Country music. This multi-talented group of musicians – 5 Guys and 3 Girls – has over 200 years of collective performance experience. The Girls Band brings an energetic and entertaining approach to many Classic-Rock songs, with a unique flavor of electric and acoustic guitars, and coupled with keyboards, drums, bass, and horns, they present R&B in a style reminiscent of the ‘big’ band sound – Performing classics such as Ooh Baby Baby, I’ve Got the Music in Me and Dance to The Music, up to the more recent Fighter by Christina Aguilera and Walk Away by Kelly Clarkson, The Girls Band cover genres of music and songs that will satisfy anyone’s taste. Without a doubt the energetic, musical-edge along with the strong, melodic and well-structured harmonies, are the highlights of the band. Venues The Girls Band has performed: River Rock Amp-Warren; Brown's Stadium, Cuyahoga County Fair, Taste of Hudson, Rockin on the River, Lake County Perchfest, Legacy Village, Berea Rib Cook-off, Broadview Hts. Home Days and more. 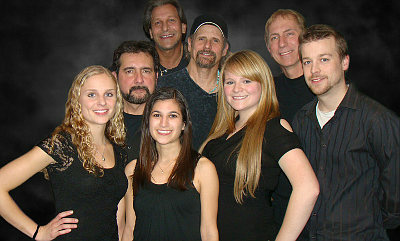 To learn more about The Girls Band, contact Marty Conn Entertainment at 216.849.3545.